With the advent of 80-degree temperatures this week comes a reminder that we’re entering storm season in Kane County, and that tornadoes can be devastating byproducts. 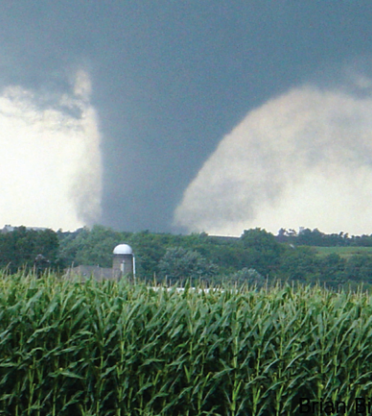 Fiction: Lakes, rivers, and mountains protect areas from tornadoes. Fact: No geographic location is safe from tornadoes. A tornado near Yellowstone National Park left a path of destruction up and down a 10,000 foot mountain. Fiction: A tornado causes buildings to “explode” as the tornado passes overhead. Fact: Violent winds and debris slamming into buildings cause the most structural damage. Fiction: Open windows before a tornado approaches to equalize pressure and minimize damage. Fact: Virtually all buildings leak. Leave the windows closed. Take shelter immediately. An underground shelter, basement or safe room are the safest places. If none of those options are available, go to a windowless interior room or hallway. Fact: The area under a highway overpass is very dangerous. If you are in a vehicle, you should immediately seek shelter in a sturdy building. As a last resort, you can either: (1) stay in the car with the seat belt on. Put your head down below the windows, covering with your hands and a blanket if possible, or (2) if you can safely get noticeably lower than the level of the roadway, exit your car and lie in that area, covering your head with your hands. Your choice should be driven by your specific circumstances. Fiction: It is safe to take shelter in the bathroom, hallway, or closet of a mobile home. Fact: Mobile homes are not safe during tornadoes! Abandon your mobile home to seek shelter in a sturdy building immediately. If you live in a mobile home, ensure you have a plan in place that identifies the closest sturdy buildings. The Kane County Office of Emergency Management is a great resource for emergency alerts of all kinds. An outdoor tornado siren provides warning of approaching danger. Initially designed to warn of air raids, outdoor siren systems have been adapted to warn of natural phenomena such as tornadoes. The limited effectiveness of the outdoor warning siren has led them to be included as part of a multi-faceted public warning system which also includes the NOAA All Hazards Weather Radio system and the Integrated Public Alert and Warning System (IPAWS). Click here for a link to the Kane County Office of Emergency Management web page for alerts. Under the category of great minds think alike, the Kane County Chronicle posted this story on its website Wednesday.